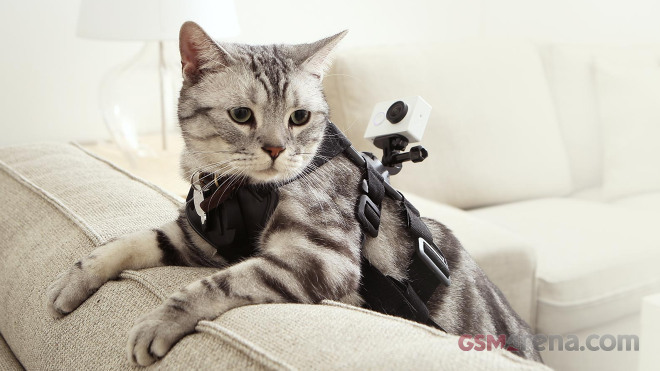 The Xiaomi Mi Pro Action Camera also features 16GB storage (a pre-installed 16GB microSD card class 10, which you can replace), Wi-Fi connectivity and 1,010 mAh battery. The Mi Pro Action camera relies on a 16MP Sony Exmor R sensor with F/2.8 aperture and 155-degree wide lens. It is capable of capturing videos up to 1080@60 fps, 720p@120 fps and 480p@240 fps thanks to an integrated Ambarella A7LS camera processor. Quite expectedly Xiaomi is offering a dedicated waterproof case, which will allow you to submerge the Mi Pro Action Camera into up to 40 meters deep water. It is made of anti-freezing metal materials, so you won’t have to worry about low temperatures. 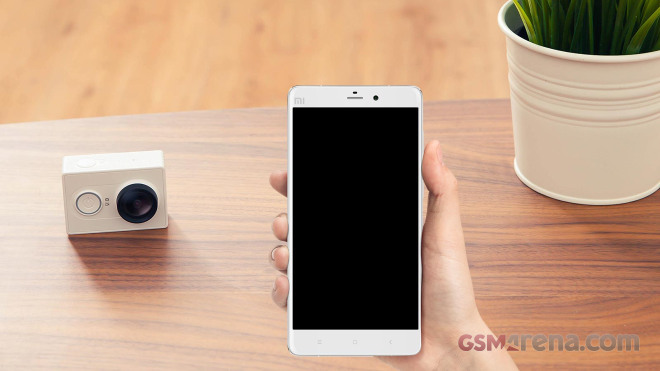 The Xiaomi Mi Pro Action Camera (or Yi Action Camera in China) comes in two editions – a Basic one with just the camera with a 16GB card, which costs CNY 399 or €56, and Travel edition which also packs a selfie kit for CNY 499 or €70. 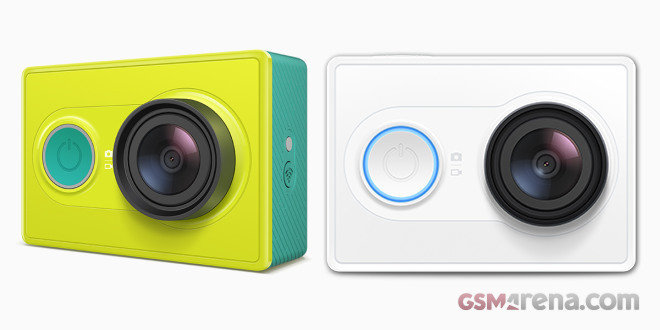 Currently the Xiaomi Mi Pro Action Camera is available in white and jungle green, but selling in China only. It will launch later this year in the USA and possibly Europe through various retailers.